Watch this video of Suzy Greaves, named as “One of the top 10 gurus to turn your life around” by the Daily Mail as she interviews me, John Williams, about the challenges of being a successful Scanner and the secrets to conquering them. It’s time Scanners knew how to become that very rare thing – The Super Successful Scanner. I’ve spent all my working life searching for the solution to the challenges of being a scanner. And I reckon I’ve cracked it. Last year I won an international book deal (without all the usual slog that entails), wrote 70,000 words, and hit my deadline. Screw Work, Let’s Play: How to do what you love & get paid for it is published next month by Pearson. Now I want to share what I’ve learned in all these adventures to help you become that very rare thing – the Super Successful Scanner. So you too can enjoy the creativity, variety, and idea generation you love andhave the shear buzz of real world results: seeing your creations out there in the world, reading your words in print, sharing your ideas and expertise on TV, or building a successful business – and finally making great money from it all. For the very first time I am running a Scanner School to show you how to achieve serious success as a Scanner. It’s a 3 week evening course at a very special price and it starts soon. How to choose the right creative or business project to do next – one that you’ll love doing and will actually make some money! How to choose projects that don’t make you feel trapped but instead feed your need for creativity, ideas and self-expression. How to follow through to get stuff done without making yourself miserable. How to complete important stuff even if you have the attention span and self-discipline of a 2 year old on coca cola. How to be successful (and even get rich & famous) for something despite the crazy random diversity of your interests and projects. How to attract new opportunities and income without the usual hard slog of relentlessly selling yourself. For a limited time, you can download the entire Scanner School lesson series for just £9.97. Listen to the founder of Scanners Night, John Williams and discover how to have your best year yet as a scanner or multi-faceted creative person. Have a brilliant year as a Scanner without New Year resolutions, career plans, or SMART goals – and make more money than you have before! Listen to the whole talk and you’ll go away with your own Back Of An Envelope Plan for the year that’s simple, exciting, effective, and doesn’t box you in. Is this the year you make your own business work? Do your plans for the year include finally making good money from work you enjoy? Whether you’re self-employed and want to boost your business, or you’re in a job and looking to launch your own thing, don’t miss the chance to discover John’s Blueprint to do what you love and get paid for it. Bestselling author and entrepreneur Seth Godin outlines a common creative affliction: sabotaging our projects just before we show them to the world. Godin targets our “lizard brain” as the source of these primal doubts, and implores us to “thrash at the beginning” of projects so that we can ship on time and on budget. We Scanners hate to focus on one thing for too long yet if we don’t focus at all, how can we ever bring all our great ideas to fruition? At October Scanners Night Nina Grunfeld showed us the secret to “Effortless Focus”; how to find your natural way to focus without making yourself crazy with boredom! Nina Grunfeld is a Scanner and yet has created a business, Life Clubs, running weekly workshops in 12 locations around the UK and has still found time to write 3 great books. Nina is a also an enthusiast of the Enneagram and explains why Scanners are “Epicures” and what that means. Do have a listen – just click the play button below. Nina runs an exercise in this recording with the balance chart. You can get your copy to fill on the LifeClubs website here. Here are several superb new videos from Barbara Sher who originally coined the term “Scanner”. These were shot on her recent Scanner Retreat in France which she runs several times a year. The next one is in Corfu. They’re short and well worth watching. Barbara says, building a successful life begins with seeing the importance of doing everything you love. H-Levels are one of the many ways to find what you love. Barbara introduces the theme of Resistance. Getting to know the nature of your inner obstacles is one of the steps to building a life you will love. Barbara Sher: Do you like to Design, Execute, or Maintain? You can follow Barbara on twitter as @barbarasher. 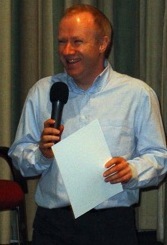 And while you’re at it, why not follow me with news of Scanners Night and other creative tidbits – @johnsw. Find out how you can use the power of youtube and twitter for your projects and businesses at July Scanners Night. Creative people, particularly Scanners, tend to have a lot of different interests and run multiple projects simultaneously. This keeps life interesting but makes it difficult for us to easily capture what we do in a way that potential contacts, clients or customers can grasp. At May Scanners Night, John Purkiss showed us how to pull the various strands together, using a simple model based on Jungian archetypes. Are you the Caregiver, the Creator, the Explorer, the Hero, the Innocent, Jester, the Lover, the Magician, the Ordinary Guy, the Outlaw, the Ruler, or the Sage? You can listen to his entire talk for free right now – just click the play button below. Read the complete list of archetypes in an extract from Brand You here. John Purkiss and David Royston-Lee, a business psychologist, have written a book entitled BRAND YOU – Turn Your Unique Talents into a Winning Formula. The book will be published on May 18th. Find out more at www.brandyou.info. Scanners Night is an event for creative people who love to learn new stuff, have many interests and get bored easily. Scanners Night is on the 2nd Wednesday of every month and each one features a different speaker on a fascinating topic. Read about June Scanners Night with San Sharma here. Sophie Boss created Beyond Chocolate with her sister Audrey. Beyond Chocolate shows women how to ditch diets forever, transform their relationship with food and lose weight in the process. 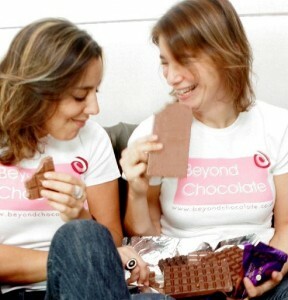 Sophie and Audrey are author of the Beyond Chocolate book published in 2006 and are now recruiting “Chocolate Fairies” to take their mission nationwide of helping women start to enjoy food again. 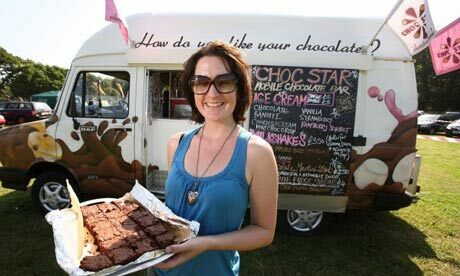 Choc Star is Britain’s only touring choc-mobile – converted from an ice cream van. Petra tours the country, making delicious chocolate goodies from local ingredients to sell from the van. She’s just completed a Chocstar Tour of Britain meeting strangers all over the country who invite her in for dinner in return for one of her hand-made chocolate desserts. Her next mission: to take the van acrosss America. Jellymongers create fine English jellies, design bespoke jelly moulds and curate spectacular culinary events. 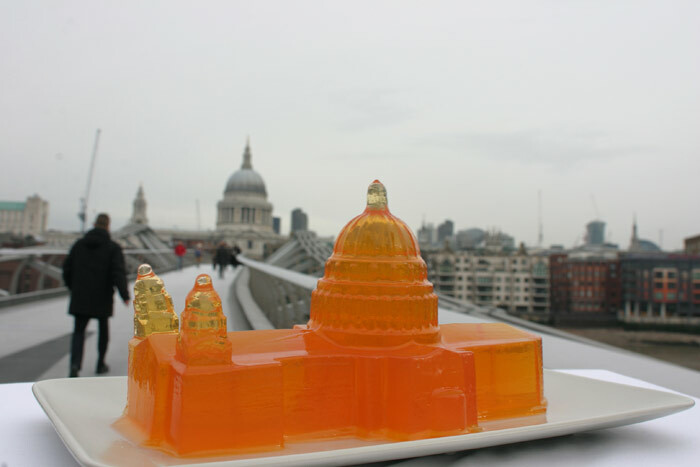 Previous projects have included creating the wobbly Millenium bridge in jelly and an entire scale model of Barajas Airport in, you guessed it, jelly. And they’ve only just started. In April, Sam and Harry are creating Alcoholic Architecture with a walk-in breathable cocktail in Central London. March Scanners Night was buzzing last night. Joanne Mallon showed us how to get publicity for our projects and businesses without spending £5000 a month on a PR company. We then did a little bit of Scanner-style networking to help everyone get key contacts and ideas for their current projects. Some of the results were remarkable! I really recommend signing up to Joanne’s newsletters which are full of interesting tidbits. Joanne’s website is medialifecoach.com. Also check out her blog. And if you’d like to be interviewed on TV about what you do but don’t know how to make it happen, take a look at this. The next Scanners Night is planned for Wednesday May 13th – read the full down here. Be sure to enter your email on the front page to get notified of future Scanner Nights. Going self-employed or starting your own business takes a lot of work in the early stages. You can start to feel like a hamster on a wheel running faster and faster and not going anywhere. Before you know it, you’re working all the hours available to you (and a few more) and still not seeing much return. Part of this is inevitable when first launching something. Ask NASA; the Apollo rockets used the vast majority of their fuel just to lift off and travel the first 20 miles. The rest of the 240,000 miles were a breeze in comparison. The problem is that it’s easy to get used to working hard and being very very busy – and not checking whether what we’re busy with will actually produce the results we want. Unfortunately, the way we assume business works when we first try it for ourselves is not always correct. I know I invested considerable effort into projects early on that didn’t pan out the way I expected. That’s why it’s great to get tips from people who have been there before us, because it’s like taking a sneaky shortcut. On Wednesday November 19th you can come and learn from 3 experts who have tried all the stuff that doesn’t work in launching a business and have then found the stuff that does. Mike, Judith and John of the Creative Entrepreneurs Club will be boiling down all those years of experience into 3 critical things that will help you make twice the money in half the time (and have some fun while you’re doing it). Come to November Scanners Night and find out how to step off your own hamster wheel. Book your place for November Scanners Night now.